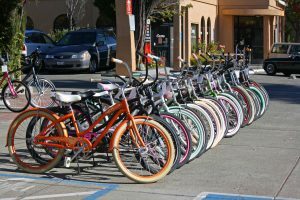 Sonoma's weather and level terrain make traveling by bicycle a great option. 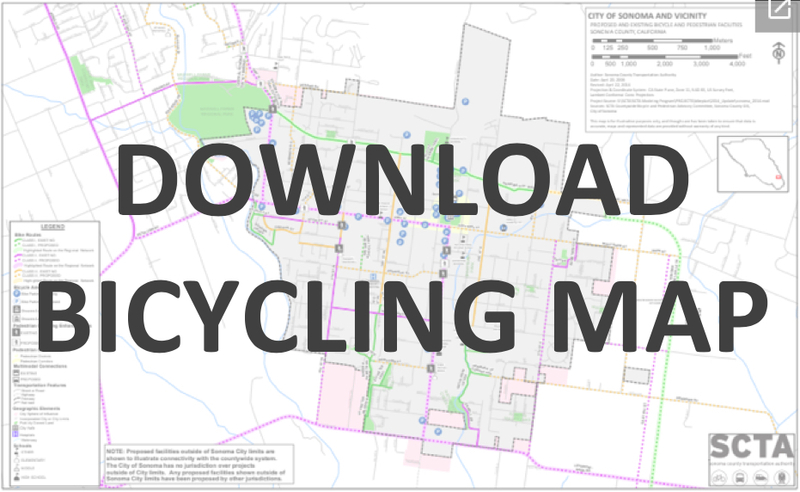 You can view the City's bike lanes on the City of Sonoma Bicycle Map. 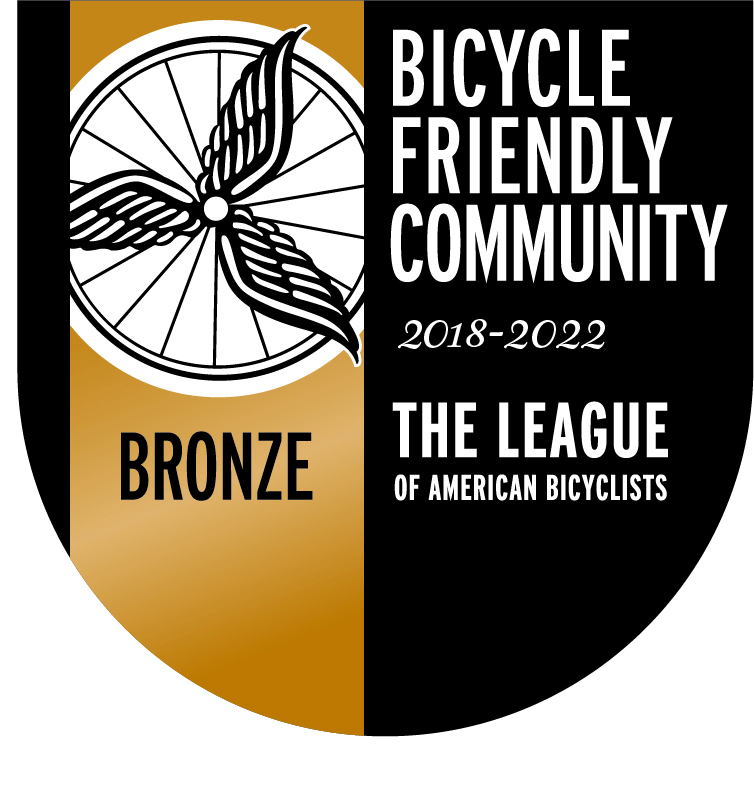 The City of Sonoma has received a Bronze Bicycle Friendly Community award by the League of American Bicyclists. 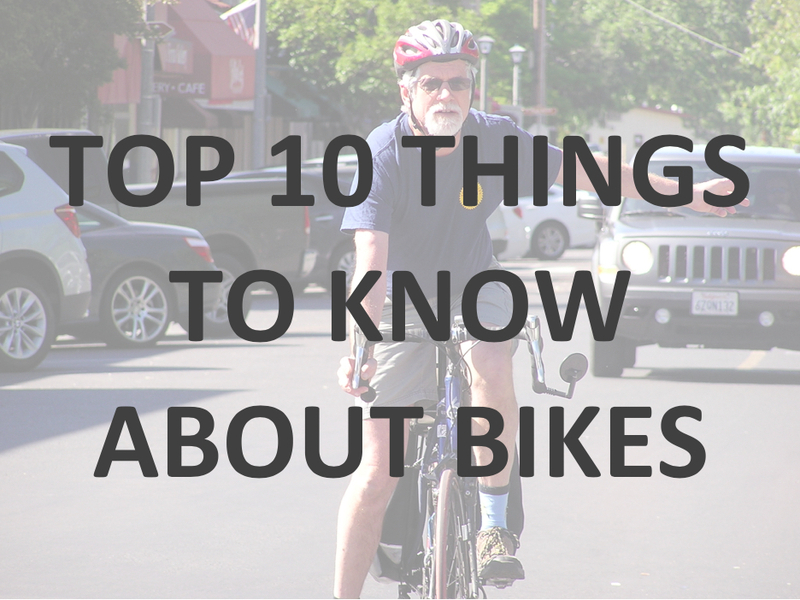 Cycling within the Plaza park is not permitted, so use our Plaza Bike Parking Map to secure you bike and explore the Plaza on foot.